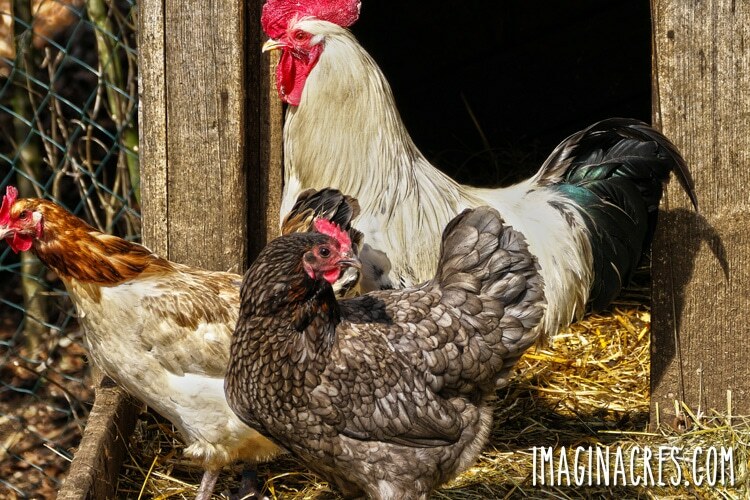 We’ve discovered the perfect solution for keeping our chickens warm in winter, keeping their coop clean with minimal effort, and making compost. It’s called the deep litter method, and everyone should try it! 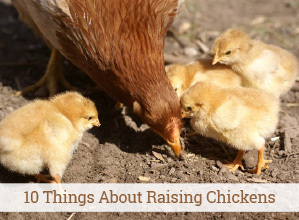 When it comes to homesteading, we’re about as easy going as you can get. Cleaning out the chicken coop every day and following around our darling little chickens with a pooper scooper is not my idea of fun. This system was made for people like us. 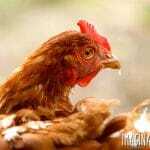 Using the deep litter method in the chicken coop is easier, cheaper, and healthier for your chickens. Why not start today? What is the Deep Litter Method? 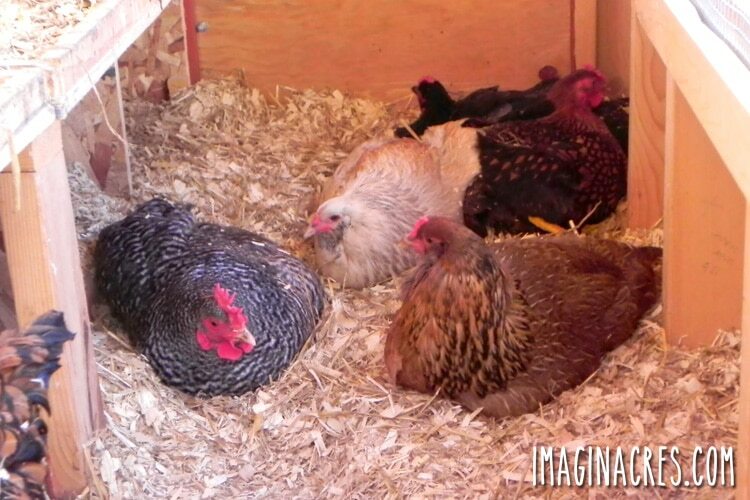 The deep litter method is a chicken coop system based on repeated layering of organic materials on the floor. The first layer of litter is spread on the floor of the coop. When the first layer is soiled, a new layer of fresh litter is added on top. This continues as needed to keep the chickens on clean bedding. Twice a year (spring and fall) clean out the coop, removing the newly made compost but leaving a one-inch layer of litter so the microbes can integrate into the new fresh bedding. When I say we stacked 6 inches of litter on the floor of the coop, I don’t mean cat litter. 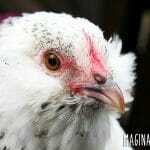 Never use cat litter in a chicken coop! Litter simply refers to the type of organic material that you lay down on the floor of the coop. Some people use wood shavings, some use leaves, and some use straw. 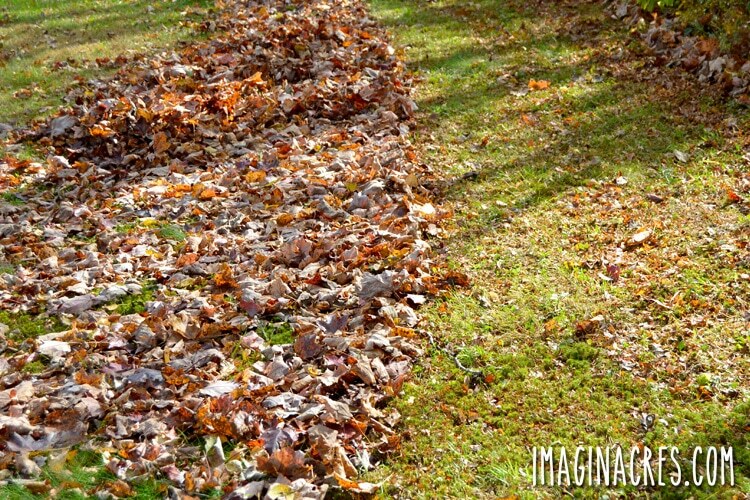 An easy way to pick up leaves is to use a mower with a bagger. This way, you’ll get a nice mix of shredded leaves and grass. We put in random bales of dry straw that were used for Halloween decor and abandoned on the roadside. 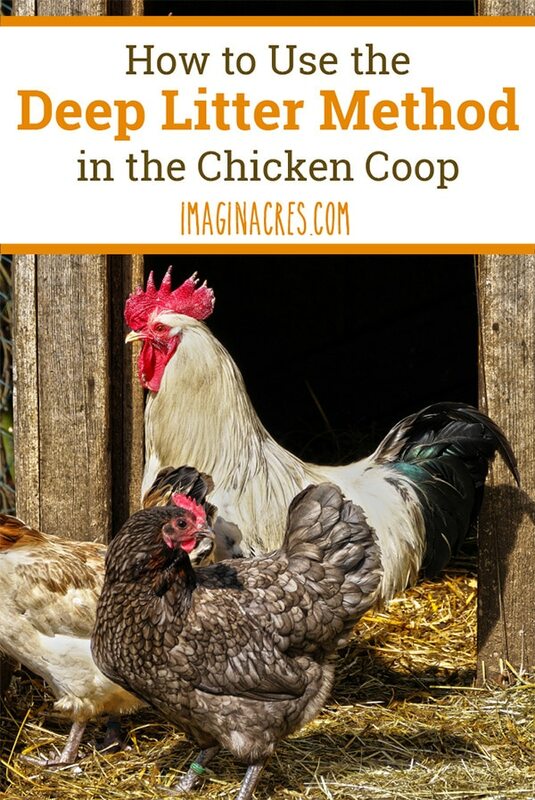 It’s even more fun to toss the whole straw bale in the coop and letting your chickens spread it around for you as they scratch through it for seeds. We also used piles and piles of cheap pine shavings from a sawmill. 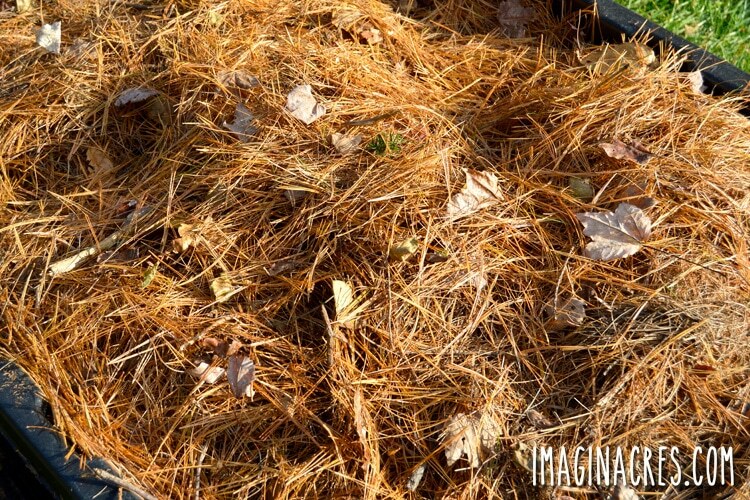 Pine needles alone are not a good choice for the deep litter system because they do not absorb moisture. However, mixing pine needles with other litters mentioned above can increase aeration and prevent the little from clumping. 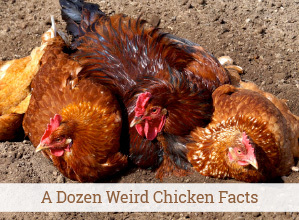 Chickens see giant piles of leaves and start laying their eggs wherever they feel like it. Ever searched for eggs in inches of dry leaves? 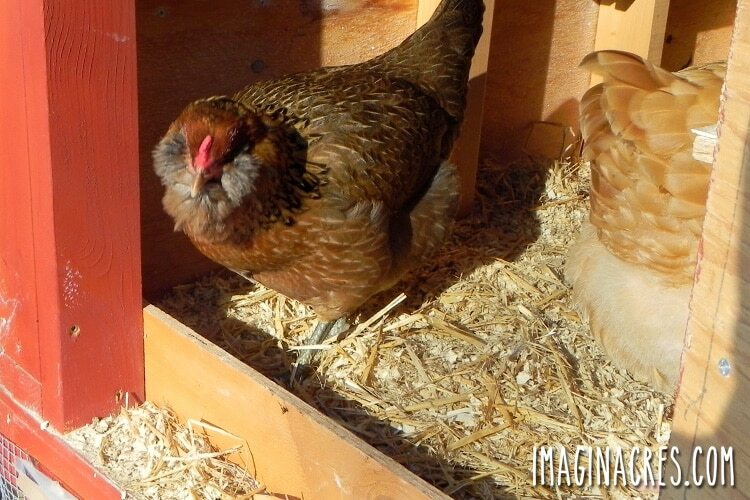 Why won’t you use your nest boxes, chickens?! Why?? Even though the deep litter method was pretty much hands off. I do monitor and remove litter that becomes wet from spilled water, or areas with heavy droppings. Most often removing the damp litter in the affected area, and then mixing with dry litter does the trick. How many of you have successfully used the deep litter method? Do you use another method that works better? I’d love to hear about it in the comments! About Meredith: Meredith is the founder of ImaginAcres. 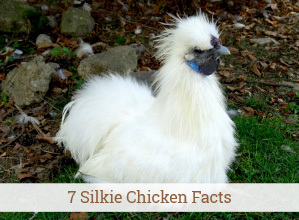 She lives in Western New York with her incredible husband, Michael, and their menagerie of farm critters. 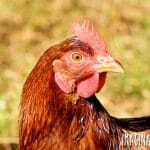 Join her at Backyard Chicken Project where she shares more chicken antics and tips to care for your flock. 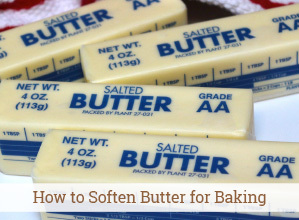 « How to Soften Butter for Baking – Quickly! Best method for chickens! Thanks for sharing with Wildcrafting Wednesday! I’d like to use this, but I live in Utah and it is very dry. Can I still get a good compost? I’m afraid if I wet down the liter from time to time I’ll end up giving my girls colds. I live in Utah and do the deep litter method myself. 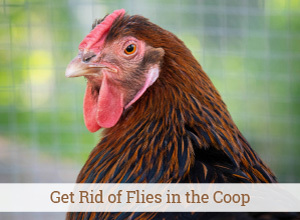 When I clean out the coop I add it all right to my compost bin, or take it straight to the garden if it’s early enough in the season. Ours too! I really think the deep litter helped to keep them warm in the frigid temps. Last year one of our leghorns got frostbite in the winter, this year, nothing! Could you tell me, do you turn the bedding over completely each week or do you just turn over the top? Does the bottom layer have to remain untouched for the composting and warmth to happen? I am a complete beginner. We are using the deep litter method ( or a form of it) for our shared stall of our 2 goat / 1 pony & 3 chickens it seems to be working great. The difference is we just add fresh shavings on the top layer the heat of the bottom layers seems to be providing heat to warm the critters in our unusual subzero cold we are having this year. I stopped cleaning the stall all the way out once winter started. Though I know it will be a major stall muck out come spring I am glad they had the heat of the decomposing bedding through this winter. Come on spring! Looking back, how has the straw worked out for you? We’ve been doing deep litter and I love it. We have five acres so I put away an absolute glut of leaves in the fall and just ran out. I’m wondering if the straw stays mucky or anything? You still recommend it? Hi Mike! The deep litter worked wonderfully this year, we have tons of great compost and I didn’t have to clean the coop until this month. We used straw, leaves, and pine shavings as litter in the coop, and the only one that broke down really well was the pine shavings. The leaves did okay, and the straw barely broke down at all. It mostly got mushy and slimy and moldy, so I don’t think we’ll be using it anymore. I think we’ll keep using leaves because they’re free and I love putting them to some use, but I think they’ll break down better if I make sure to turn them more often. Thanks for stopping in! I’m going to write an update on the deep litter in a few days, I think there are probably lots of people wondering if it worked!